SarahViz.com: It's Quaker Heart Health Month! It's Quaker Heart Health Month! Heart disease isn't something I necessarily worry about, but it's definitely in the back of my mind. Hubby has had a few heart-related scares, and heart disease runs in his family. So instead of nagging him about the extra mayo, extra cheese, and extra butter that he tries to add to everything, I consciously make healthy shopping decisions for my family. After all, I want my Hubby and my 3 boyz to live long and (heart) healthy lives...right alongside me, the HEART of our family! To promote American Heart Month,Quaker Oats is running an Epic Hot Breakfast sweepstakes! All you have to do is watch the above video (which can be found at www.YouTube.com/Quaker) and then share it on Twitter using the hashtag #QuakerLove between February 14-28. What can you win? A Chicago getaway! 15 participants will also receive an "Ultimate Hot Breakfast" prize pack - yum! 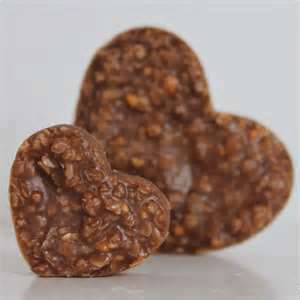 Choosing whole grain Quaker Oats is a quick and simple way to provide yourself with the necessary fuel for a healthy heart...and besides, have you ever had Quaker Oats in those chocolately peanut buttery no-bake cookies? Now those make MY heart happy! Also, you don't want to miss out on the Quaker Heart Health Twitter party, taking place on Tuesday 2/19 from 8-9 PM EST. The party will be hosted by @ResourcefulMom and @FabioViviani will be the celebrity guest. The party hashtag is #QuakerHearts!. To RSVP to this Twitter party, click here! Disclosure: Thanks to Global Influence for allowing me to participate in this Quaker Heart Health Month Sponsored Post Campaign. I received compensation as part of my participation in this campaign.